The most exciting game was a derby match between two local teams from Manama: Al-Manama (#1) and Al-Ahli (#4). 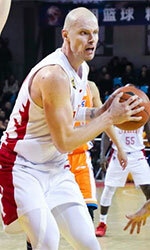 Al-Manama (11-0) won against visiting Al-Ahli (8-3) 89-77. Al-Manama had a 36-24 advantage in offensive rebounds. They looked well-organized offensively handing out 25 assists. International Maitham Jameel fired 15 points, 9 rebounds and 6 assists for the winners. International Mohammed Ameer chipped in 18 points and 8 rebounds. American-New Zealand forward Marcel Jones (203-85, college: Oregon St.) produced a double-double by scoring 23 points and 16 rebounds for lost side. Al-Ahli's coach rotated ten players in this game, but that didn't help. Undefeated Al-Manama have an impressive series of ten victories in a row. Defending champion maintains first place with 11-0 record. Al-Ahli at the other side keeps the fourth position with three games lost. Bottom-ranked Samaheej (0-11) tried to put together a comeback for its first victory of the season, but they fell short in the 86-74 loss to eleventh ranked Al-Nweidrat (3-9) in Nuwaidrat. Worth to mention a great performance of American-Guamanian forward Curtis Washington (208-91, college: Georgia St., agency: Haylett Sports) who helped to win the game recording a double-double by scoring 32 points, 18 rebounds and 5 assists. Ebrahim Albasri contributed with 16 points for the winners. Al-Nweidrat's coach used entire bench which allowed the starters a little rest for the next games. American-Bahamas forward Mark St.Fort (200-88, college: Warner) answered with a double-double by scoring 25 points and 15 rebounds for Samaheej. Al-Nweidrat maintains eleventh place with 3-9 record. Samaheej lost their ninth game in a row. They still close the standings with 11 games lost. We should mention about the upset which took place in Manama, where higher ranked Al-Ittihad (5-6) lost at home to ninth ranked Al-Bahrain (4-7) 80-86 on Thursday. Lester Ferguson stepped up with a double-double by scoring 25 points and 18 rebounds (on 10-of-13 shooting from the field) for the winners. Al-Bahrain's coach used an eleven-player rotation and allowed the starting five to rest. At the losing side Ali Ghadeer responded with a double-double by scoring 15 points, 11 rebounds and 5 assists. Al-Bahrain moved-up to eighth place. Loser Al-Ittihad keeps the fifth position with six games lost. They share it with Al-Hala and Al-Najma. The game with biggest result difference took place in Muharraq. Local Al-Hala (5-6) outscored 10th ranked Isa Town (3-8) 99-79. Ryan Richards nailed a double-double by scoring 29 points and 23 rebounds for the winning side. Isa Town's coach tested twelve players seeing no chance for a win. Al-Hala moved-up to fifth place, which they share with Al-Ittihad and Al-Najma. Isa Town at the other side keeps the tenth position with eight games lost. In the last game of round 13 Sitra was defeated by Al-Najma in Manama 113-109. The game with biggest result difference took place in Muharraq. Local Al-Hala (5-6) outscored 10th ranked Isa Town (3-8) 99-79. Al-Hala dominated down low during the game scoring 52 of its points in the paint compared to Isa Town's 30 and made 20-of-23 charity shots (87.0 percent) during the game. British power forward Ryan Richards (212-91, agency: Interperformances) nailed a double-double by scoring 29 points and 23 rebounds for the winning side and Hussain Salman accounted for 23 points and 6 assists. Four Al-Hala players scored in double figures. Tunisian Ahmed Salman came up with 17 points and 7 assists and Mansoor Jaber added 21 points and 4 assists respectively for Isa Town in the defeat. Isa Town's coach tested twelve players seeing no chance for a win. Al-Hala moved-up to fifth place, which they share with Al-Ittihad and Al-Najma. Isa Town at the other side keeps the tenth position with eight games lost. Bottom-ranked Samaheej (0-11) tried to put together a comeback for its first victory of the season, but they fell short in the 86-74 loss to eleventh ranked Al-Nweidrat (3-9) in Nuwaidrat. Their players were unselfish on offense dishing 22 assists. Worth to mention a great performance of American-Guamanian forward Curtis Washington (208-91, college: Georgia St., agency: Haylett Sports) who helped to win the game recording a double-double by scoring 32 points, 18 rebounds and 5 assists. Ebrahim Albasri contributed with 16 points for the winners. Al-Nweidrat's coach used entire bench which allowed the starters a little rest for the next games. American-Bahamas forward Mark St.Fort (200-88, college: Warner) answered with a double-double by scoring 25 points and 15 rebounds and the former international Isa Ebrahim added 13 points and 16 rebounds in the effort for Samaheej. Al-Nweidrat maintains eleventh place with 3-9 record. Samaheej lost their ninth game in a row. They still close the standings with 11 games lost. We should mention about the upset which took place in Manama, where higher ranked Al-Ittihad (5-6) lost at home to ninth ranked Al-Bahrain (4-7) 80-86 on Thursday. American forward Lester Ferguson (208-88, college: Robert Morris) stepped up with a double-double by scoring 25 points and 18 rebounds (on 10-of-13 shooting from the field) for the winners and Khalid Ali chipped in 32 points, 9 rebounds and 4 assists. Al-Bahrain's coach used an eleven-player rotation and allowed the starting five to rest. At the losing side Ali Ghadeer responded with a double-double by scoring 15 points, 11 rebounds and 5 assists and Ali Nader scored 16 points and 7 rebounds. Five Al-Ittihad players scored in double figures. Al-Bahrain moved-up to eighth place. Loser Al-Ittihad keeps the fifth position with six games lost. They share it with Al-Hala and Al-Najma. The game between closely ranked teams ended with 8th ranked Sitra's (4-8) road loss to seventh ranked Al-Najma (5-6) 109-113. Strangely Sitra outrebounded Al-Najma 55-42 including 22 on the offensive glass. Their players were unselfish on offense dishing 25 assists. 24 personal fouls committed by Sitra helped opponents get some easy free throw opportunities. International Mohamed Buallay (-95) nailed a triple-double by scoring 29 points, 13 rebounds and 14 assists for the winning side and American Kevin Rogers (206-86, college: Baylor) accounted for 20 points and 11 rebounds. Five Al-Najma players scored in double figures. Al-Najma's coach allowed to play the deep bench players in such tough game. 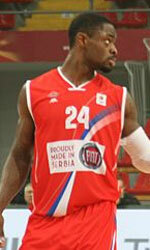 Senegalese center Mansour Kasse (208-92) came up with a double-double by scoring 46 points (!!!) and 21 rebounds and Mohayyad Ameer added 29 points and 10 rebounds respectively for Sitra in the defeat. Al-Najma moved-up to fifth place, which they share with Al-Hala and Al-Ittihad. Sitra at the other side dropped to the ninth position with eight games lost. The most exciting game was a derby match between two local teams from Manama: Al-Manama (#1) and Al-Ahli (#4). Al-Manama (11-0) won against visiting Al-Ahli (8-3) 89-77. Al-Manama had a 36-24 advantage in offensive rebounds. They looked well-organized offensively handing out 25 assists. International Maitham Jameel fired 15 points, 9 rebounds and 6 assists for the winners. International Mohammed Ameer chipped in 18 points and 8 rebounds. American-New Zealand forward Marcel Jones (203-85, college: Oregon St.) produced a double-double by scoring 23 points and 16 rebounds and Ali Aqeel added 12 points, 6 rebounds and 5 assists respectively for lost side. Both teams had four players each who scored in double figures. Al-Ahli's coach rotated ten players in this game, but that didn't help. Al-Manama have an impressive series of ten victories in a row. Defending champion maintains first place with 11-0 record. Al-Ahli at the other side keeps the fourth position with three games lost.